Bring the galaxy to life with Force Link! Star Wars: The Last Jedi Orange 3 3/4-Inch Action Figure. Wear your Force Link gear to activate lights, sounds, and more! Contains 1 individually packaged action figure. Star Wars: The Last Jedi Orange 3 3/4-Inch Action Figure features an awesome hero or villain from a galaxy far, far away, and each one includes cool sculpting, cool accessories, and the kind of detail you love in your action figure. 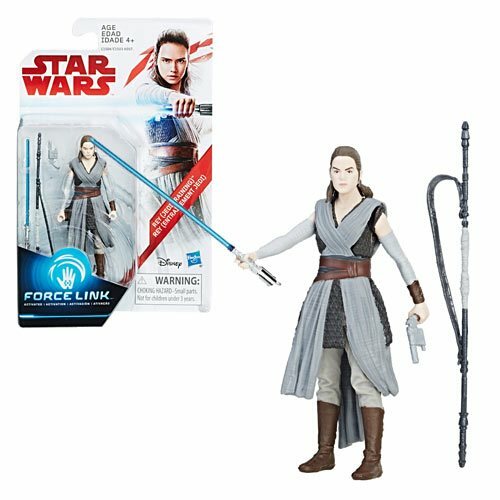 Wear your Force Link gear to activate lights, sounds, and more in Force Link-activated figures, accessories, vehicles, and playsets. With Force Link, the power of the Force is in your hands! Requires the Force Link Starter Set (sold separately). This Star Wars: The Last Jedi Orange 3 3/4-Inch Action Figure includes 1 individually packaged action figure.